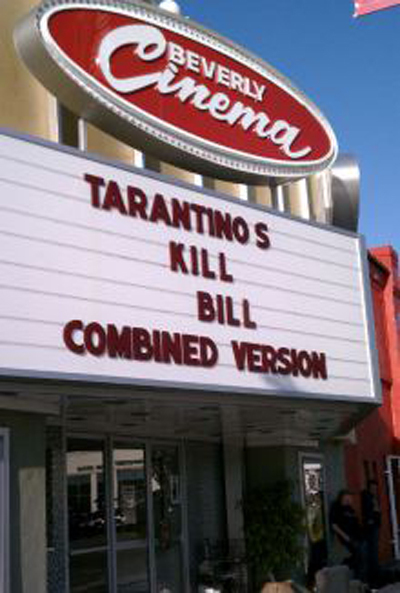 Quentin Tarantino’s passion for the New Beverly Cinema began when he was just another kid showing up for the nightly double feature. It grew when he found success as a filmmaker and began to subsidize owner Sherman Torgan to the tune of $5,000 per month to keep the place open. Ultimately Tarantino bought the building and now he’s taking over the whole theater from Torgan’s son Michael. Tarantino has grand plans to curate a program of films he is confident will please fellow cinefiles and give him an excuse to showcase his voluminous collection of film prints and trailers.